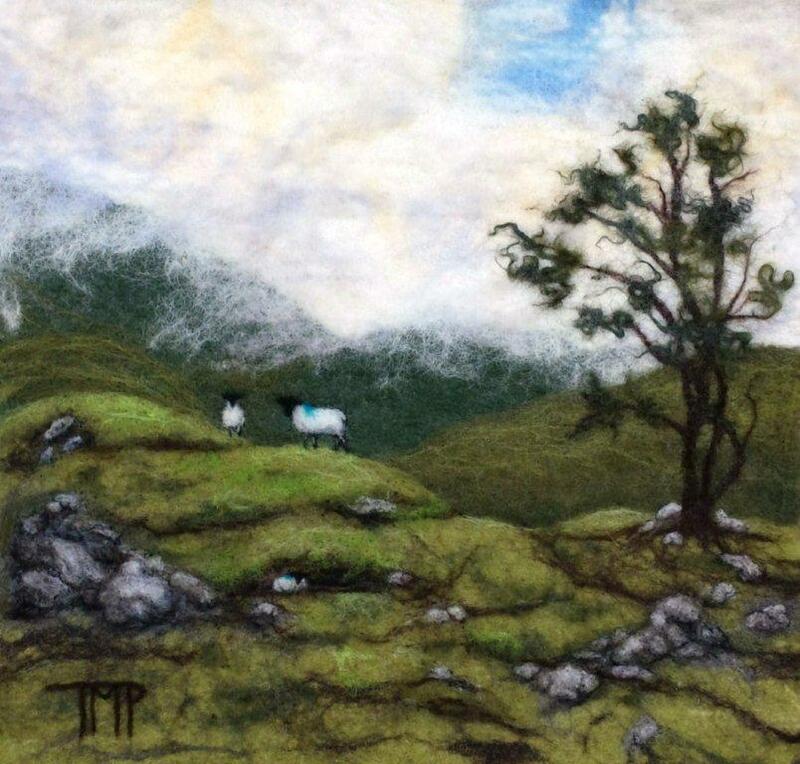 The Brilliant Felted Landscapes of Tracey McCracken Palmer – LIVING FELT Blog! Take a moment to scroll through these gorgeous felted “paintings” by Tracey McCracken Palmer. They have such wonderful depth, color and interest — giving the viewer a feeling of a real place with a real story. You might find it hard to believe, but at the time of this article, Tracey has been felting less than 2 years. We really enjoyed our time meeting with Tracey and getting to know her better. She is as sweet and humble as she is talented, and her distinct South Eastern accent is just delightful to listen to as she tells her story. 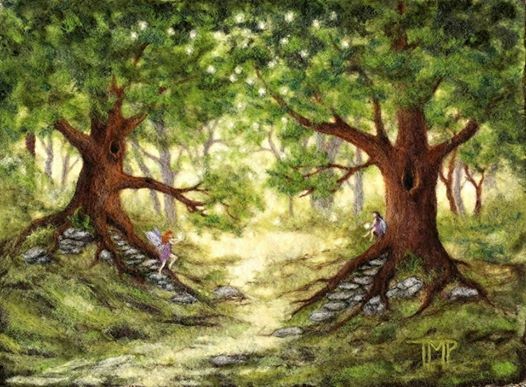 Tracey says she has painted and drawn her entire life, and while she discovered felting after taking a needle felting class several years ago, she did not begin exploring the medium right away. “I planned to invest in some wool and try it at home, but I was mainly painting in acrylic then and just never got around to it. 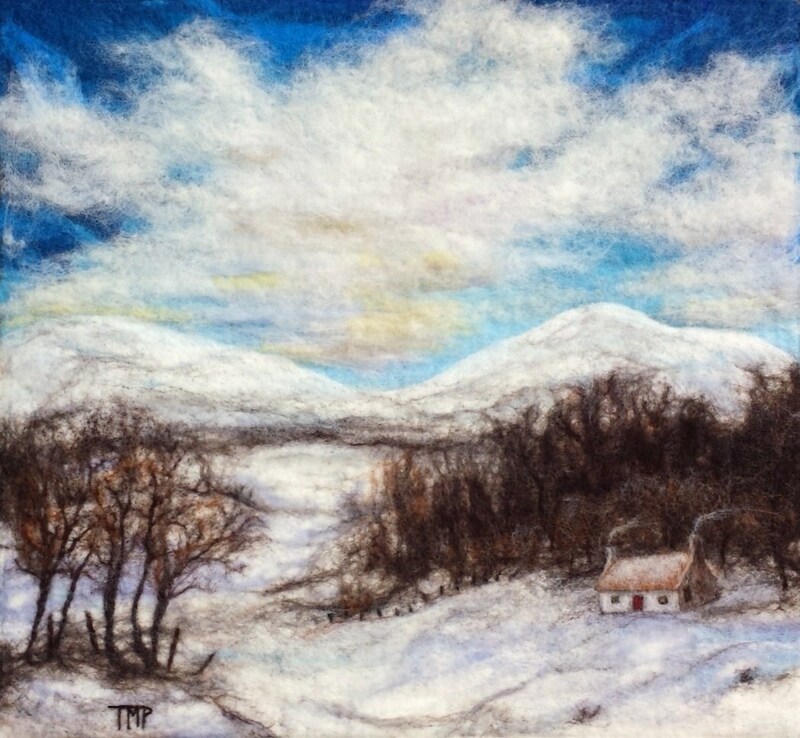 Then in June of 2013, I saw Moy MacKay’s work on Facebook, and was completely blown away by her felted landscapes. She had just published her first book so I got it and learned her method of layering wool and wet felting landscapes. “My process begins by layering different colors of dyed wool over a double layer of un-dyed wool to create a scene. Next, I wet the piece with hot soapy water and work it, pressing with my hands, turning and rolling it repeatedly in a bamboo or bubblewrap mat for over two hours until the friction of the rolling process binds the fibers together, creating felt. I then rinse the soap out of the felt and mat, and roll it again several times before letting it air dry. After it is completely dry, I use needle felting to add more details to the landscape, using special needles which have notches along the shaft. The notches on the needles grab the layer of wool fibers which I have added, and tangle them with the inner layers as the needle enters the felt. Since the notches face down toward the tip of the needle, they do not pull the fibers back out as the needle exits the wool. 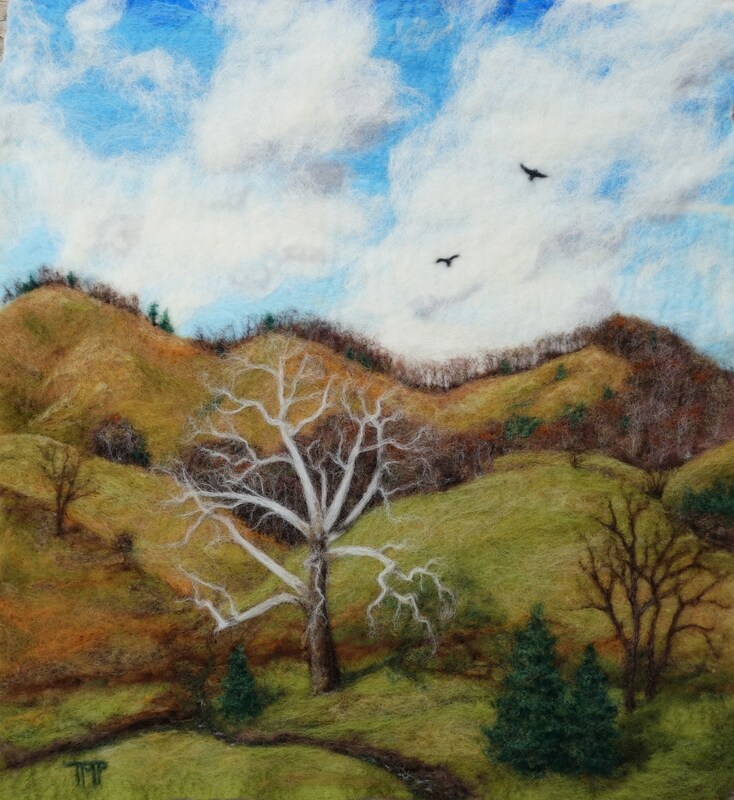 For Tracey’s felted landscapes, she says inspiration is everywhere around her. Her Most Challenging Project to Date? 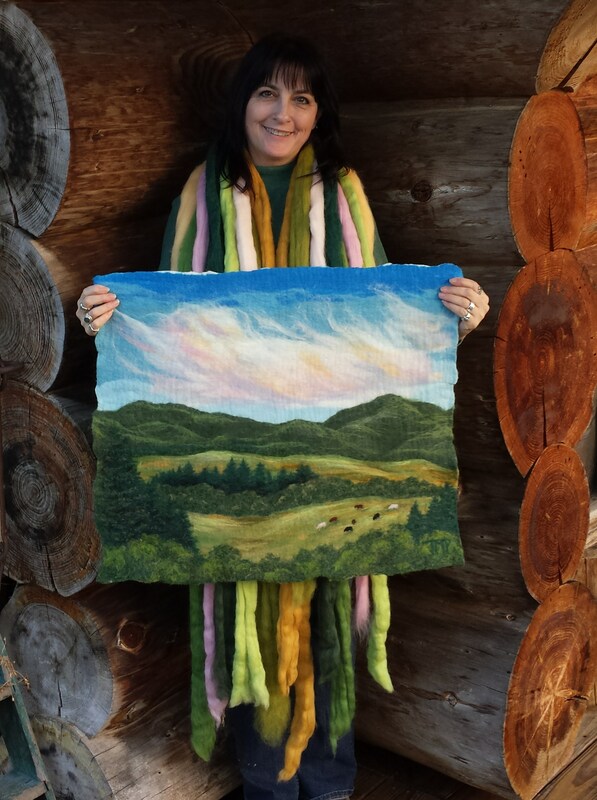 Just by following her passion, Tracey is helping to bring felt and fiber art to the fine arts & crafts scene. In 2014 Tracey was invited to hang a solo exhibit of her work in one of the branches of her local Public Library , which ran from January through March. 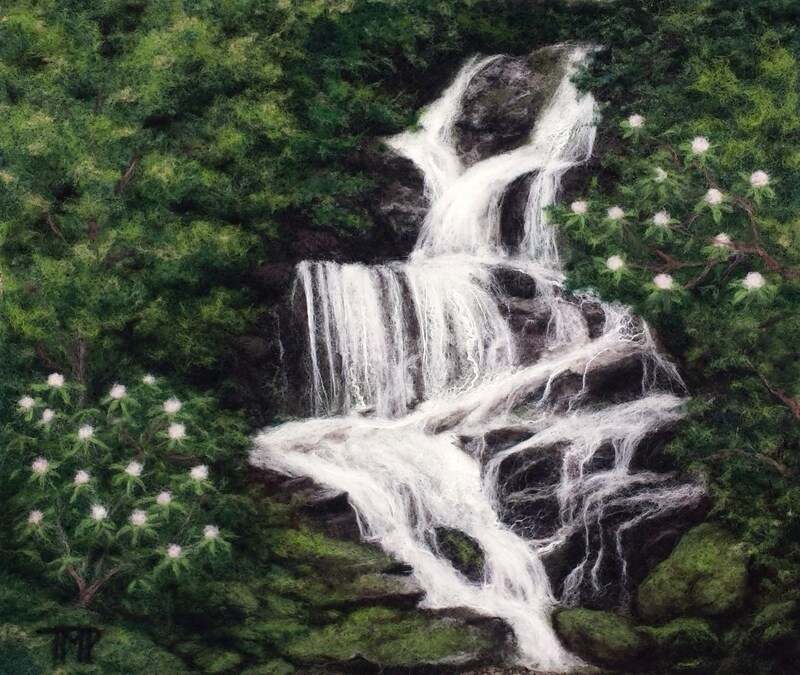 In June 2014 she was featured as the “Artist of the Month” at Twigs & Leaves Gallery, where she sells her work. 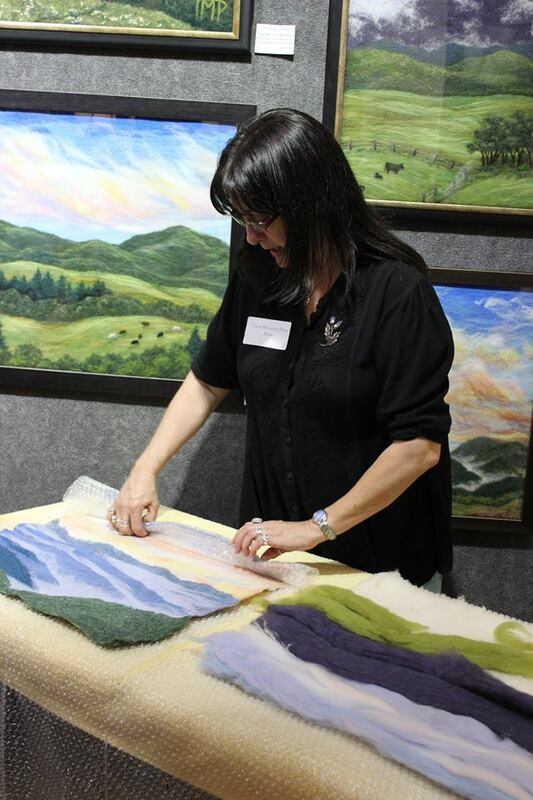 She has given several demonstrations of her felting technique over the past year at the gallery, and also at a “Quick Draw” event in Haywood County where she lives. Tracey was on the Haywood Art Studio Tour. We asked Tracey what she might offer to those just getting into felting. Tracey… You Are Brilliant! and Thank you for Felting With Us! Living Felt MC-1 Merino Cross Batts: bamboo, bluegrass, buttercup, true olive, spruce, honeysuckle, foliage, meadow green, shire, birch, vintage brown, winter grey. Merino Top: yellow, apricot, plum, chocolate, white, black, fir, bottle green, garden ivy, lima bean, olive, mint. New Zealand Corriedale: cherub, lima, cocoa, candy, apricot, butterscotch, natural white, ice, sky, lagoon, royal, natural light. Merino silk blends in Woodland for the sky in Moondance, and the water in Borve Beach. For the tree in Misty Highland Glen, I used your Premium Mohair Locks in Emerald Forest, and of course tussah silk in both waterfalls and Moondance.